Reassurance shield after the 244 junction. 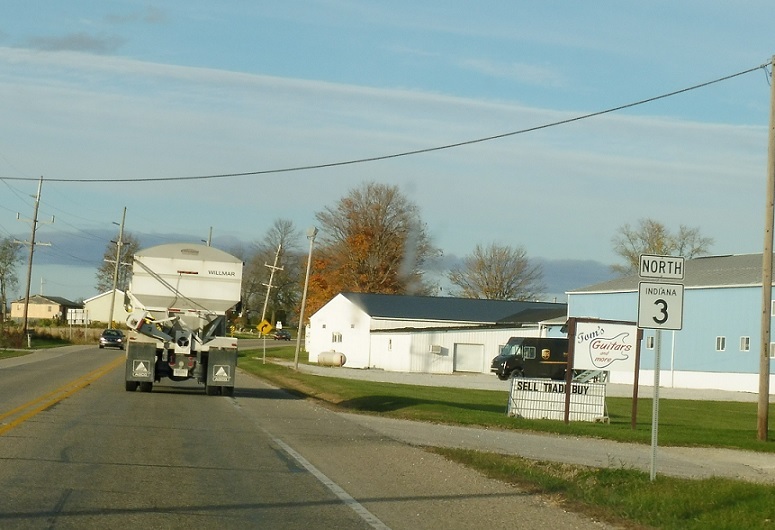 A few miles later, we’ll enter Rushville. 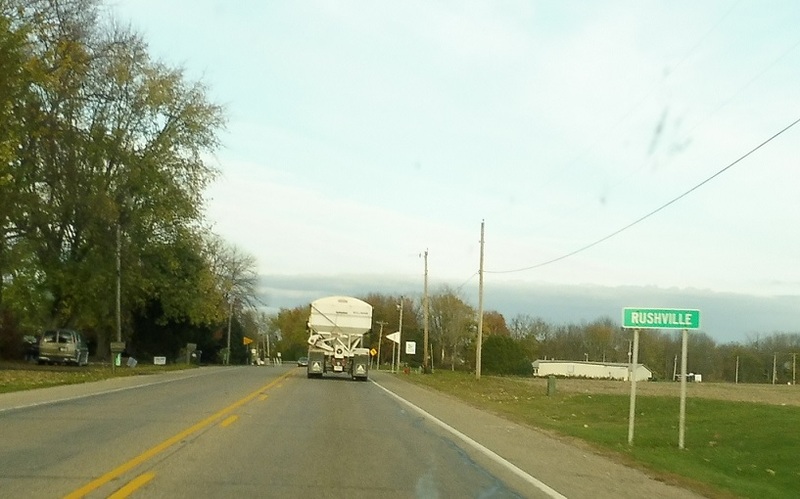 On the south side of Rushville, we’ll approach US-52. 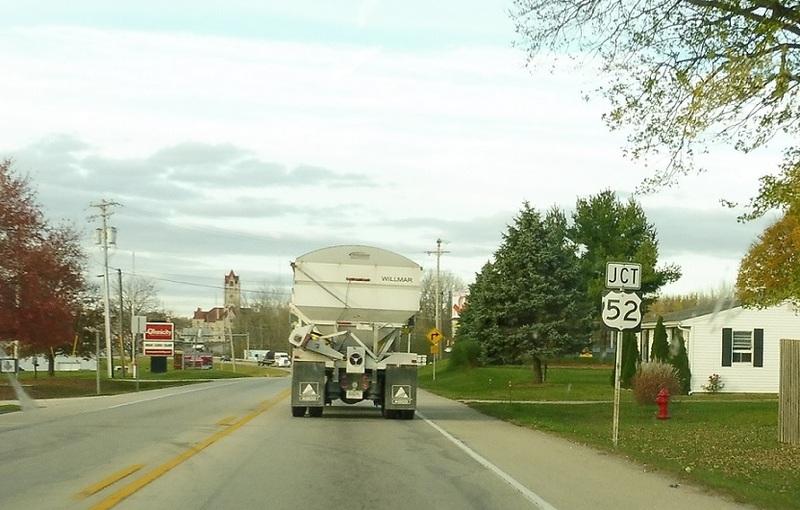 Turn left for US-52 west/SR 3 north into downtown Rushville. 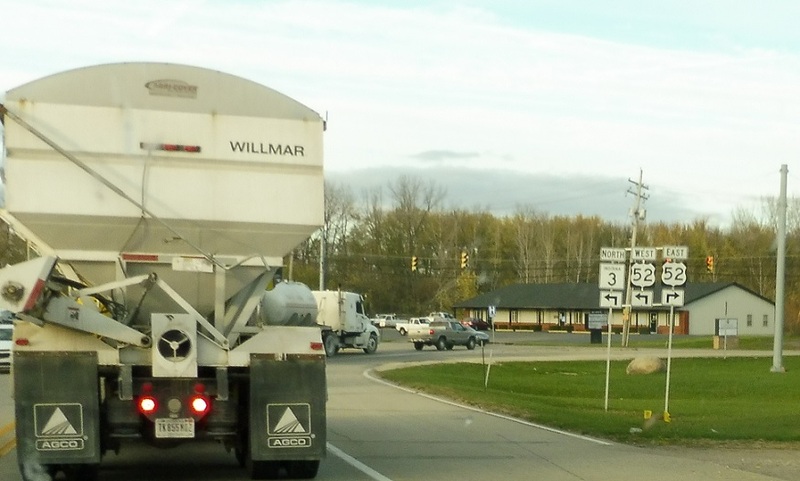 Turn right for US-52 east.